SpaceX has pulled off another one-two spaceflight punch. One of the company's Falcon 9 rockets lifted off from historic Pad 39A at NASA's Kennedy Space Center (KSC) in Florida today (Aug. 14) at 12:31 p.m. EDT (1631 GMT), sending a robotic Dragon cargo capsule on its way to the International Space Station (ISS) for NASA. SpaceX now has 14 such rocket landings under its belt, and the company has reflown two landed boosters to date. 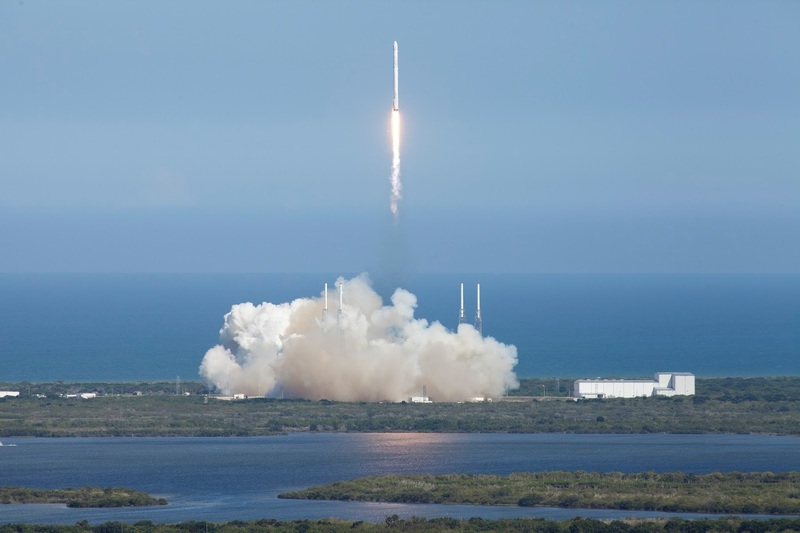 Such activities are part of SpaceX's effort to develop fully and rapidly reusable systems, which company founder and CEO Elon Musk has said could cut the cost of spaceflight dramatically. Two different views of a SpaceX Falcon 9 first stage coming in for a landing on Aug. 14, 2017. The launch’s payload includes a new supercomputer from Hewlett Packard Enterprises, which will test whether so-called ‘software hardening’ can be used to make a stock supercomputer from Earth suitable for use in space during long durations – including over the course of a potential mission to Mars. This Dragon capsule will carry more materials for science and experiments than previous resupply missions form SpaceX, with 75 percent of the capsule’s weight assigned to supplies for over 250 experiments including testing things like the genetic causes of Parkinson’s disease, radiation’s effect on roundworm and more, extending the shelf life of pharmaceuticals and more. SpaceX will be launching from its LC-39A launch facility at NASA’s Kennedy Space Center in Florida, and today’s launch will include attempting to land and recover the Falcon 9’s fist stage at LZ-1 at Cape Canaveral Air Force Station in Florida. The Dragon capsule used will return to earth after around one month in orbit, carrying 3,000 pounds of goods from the ISS for the return flight.